Home / Behind Enemy Lines / Buffoon of the Year / CNN / Domenic Recchia / Fappy / Fun / Gene Berardelli / Jonathan Gruber / Lehmberg / Liberal / LIberal Bias / Lois Lerner / Rev. 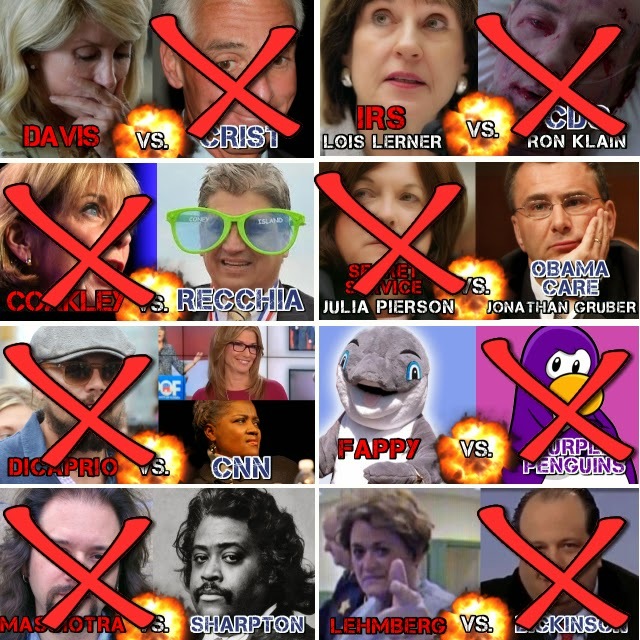 Al Sharpton / Russell Gallo / Wendy Davis / #BOTY2014 - The "Inexcusable 8"! #BOTY2014 - The "Inexcusable 8"! Here's who won, and lost. Are you ready for the next round? WHO YA GOT!